A Nikon CoolPix 880 digital camera was used for many of the earlier images. Exposures were 1/4 sec. using a digital shutter control. Smaller images were stacks of 30 to 50 while the larger images were a stack of about 20 individual shots. The first quarter and lunar eclipse images used a Vernon Brandon 24 mm eyepiece with the camera attached using the slip fit adapter. 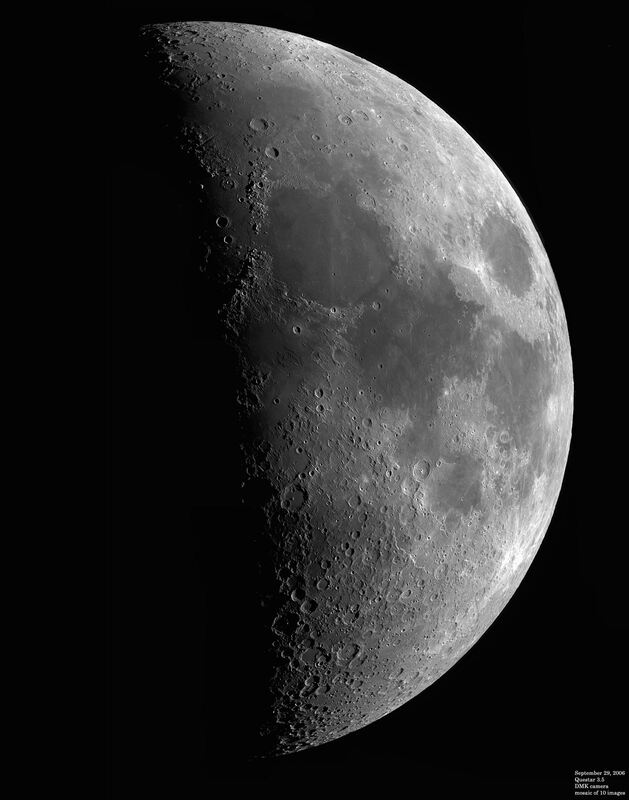 The mosaic was captured using a DMK 31AF03 video cam as were the later images. Most were captured at 30 fps and approximately 300 frames were stacked to produce the final image.